In 2016, AstraZeneca Gothenburg asked us to help with a pretty special project: their visitor tour. A single in-house experience that made everyone working at the site a potential tour guide. And that would be equally impressive for high school students, senior scientists, politicians, journalists, even royalty. Here’s what happened. 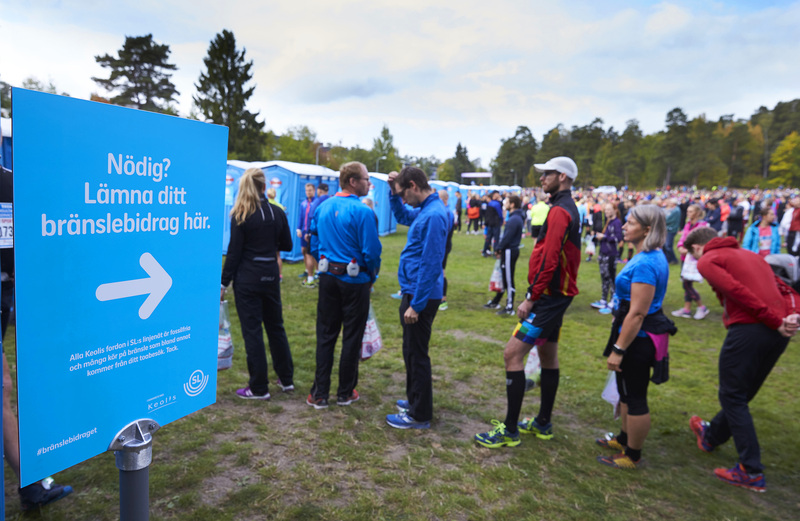 Our first job for Keolis, one of Europe's largest suppliers of public transport, was to launch an environmental campaign during TCS Lidingöloppet, an annual cross country running competition. The result was a biogas campaign that had excrement at its communicative heart. 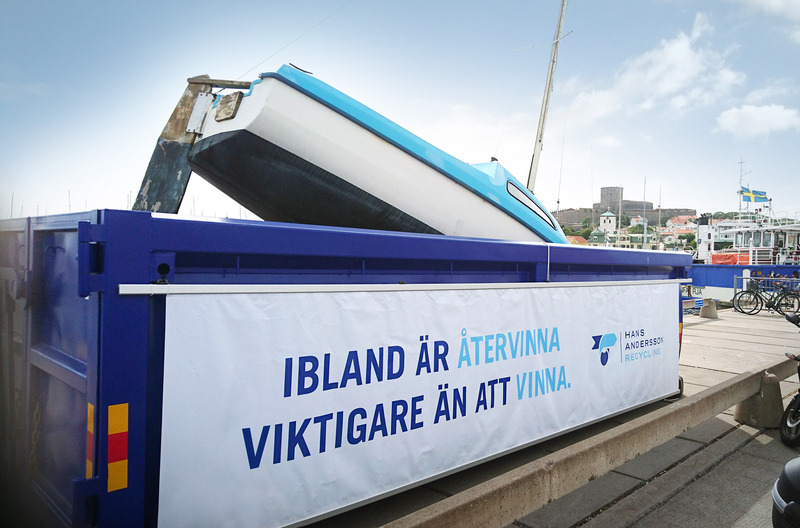 As partners for TCS Lidingöloppet, Keolis and SL wanted to use this opportunity to market the eco-friendly public transport that was carrying the runners to and from the competition. After a great deal of digging around, it turned out the one thing that united both the biogas buses and the Lidingö residents' attitude to the competition - was human excrement. And so to our campaign theme: The idea behind the tagline "Thanks for your fuel contribution!" was to explain that everything deposited in the portable toilets over the course of the competition would be taken to a wastewater treatment plant, where it would eventually be turned into the biogas that fuels many of Keolis' buses on SL's routes. 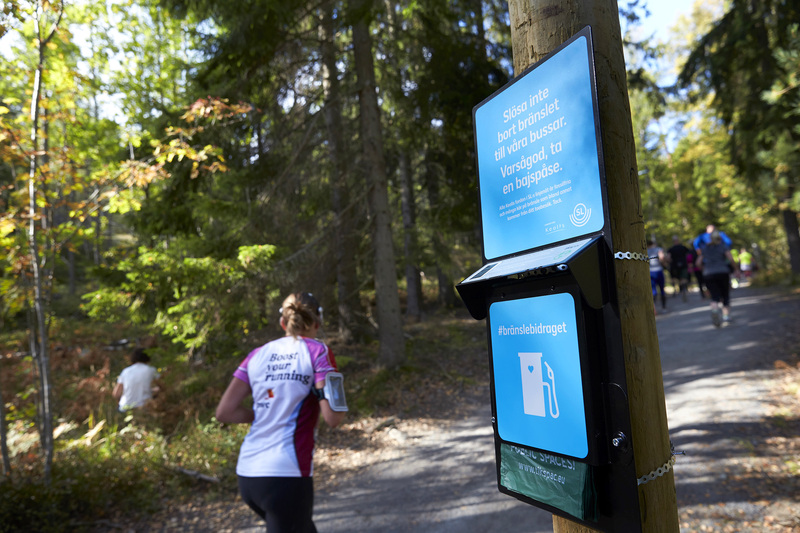 In addition to posters on portable toilets and other advertising spaces associated with the competition, and the presence of service staff from Keolis - who in honour of the campaign were given the title "Fuel technicians" - there were also "poop bag stations" located strategically along the running route. This enabled the runners to deposit their fuel contribution even when they were caught short. 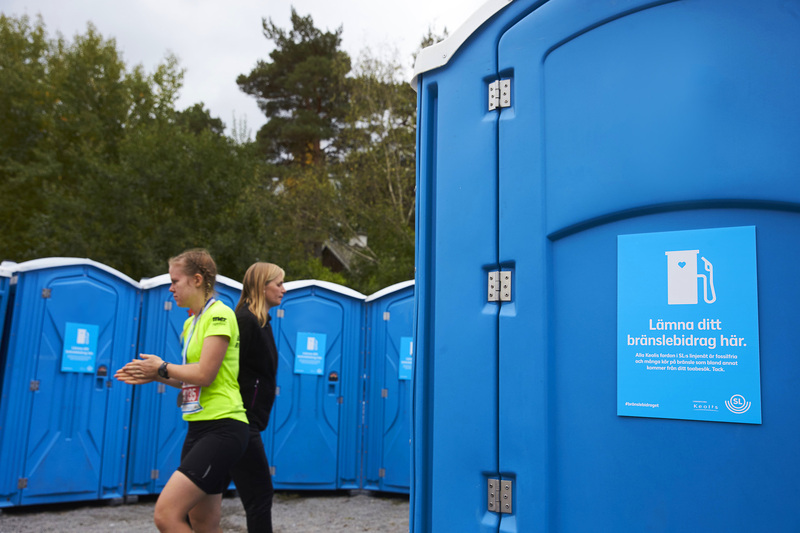 And the residents of Lidingö avoided the unpleasantness of the usual poop-fest in the forest in the days after the race. 31 tonnes of waste had been collected by the time the 40,000 runners had completed the run, enough to power bus route no. 4 in Stockholm for a whole day. Welsh Lamb is considered among the best in the world. It offers such high quality that the EU has granted it Protected Geographical Indication (PGI) status. This puts Welsh Lamb in the same league as other protected products such as Parma ham and champagne. In short, this is a meat that deserves to be treated with respect. Unfortunately that doesn't always happen, particularly during barbecue season. According to alcohol campaigners IQ, 36 percent of men always or nearly always drink alcohol when they barbecue. This causes them to lose their focus on the cooking and in worst case ruin a premium meat such as Welsh Lamb. To ensure that the meat got the care and respect it deserves, we helped Welsh Lamb to develop the Promillegrillen - the world's first barbecue with an alcolock. Promillegrillen can only be fired up if the user passes the sobriety test by blowing into the breathalyser. If you pass the test, you can start the barbecue. The user will then be required to blow into the device at regular intervals to continue using the barbecue. This ensures the best conditions for grilling Welsh Lamb to perfection. Promillegrillen was marketed in digital channels such as YouTube, Facebook and eBay - where it was finally auctioned off. However, we also worked with editorial PR to get everyone from barbecue supplements to bloggers to write about the barbecue. How did it go? We achieved the level of success we had aimed for and then some. One strength of Promillegrillen is that it's a "tag-friendly" idea. The "you should buy this" effect occurred immediately, not least on Facebook, where the Promillegrillen video got well over half a million views and over 500 shares. However, there was also strong interest in the video on YouTube, with almost half a million views and over 600 shares. Activity was brisk on eBay from day one. After 104 bids, the barbecue eventually sold for SEK 9900. By that time the listing had been viewed 28,000 times. The big newspapers (Expressen, Kvällsposten and others) also picked up on the importance of respecting premium meat like Welsh Lamb and the solution: Promillegrillen. The week of sailing events during Match Cup Sweden in Marstrand attracts around a hundred thousand people. And many companies make the most of this exclusive event to treat potential and existing customers to everything from sailing competitions and talks to rosé. As such, decision-makers in major companies may well receive quite a few invitations that employ exclusive materials to conjure a sense of flair and celebration. Hans Andersson Recycling from Hisingen in Gothenburg wanted to stand out amongst this glittering display and get people to attend their talks and visit their stand. To source exclusive material that signals serious professionalism, we headed out to Hans Andersson's paper recycling centre. 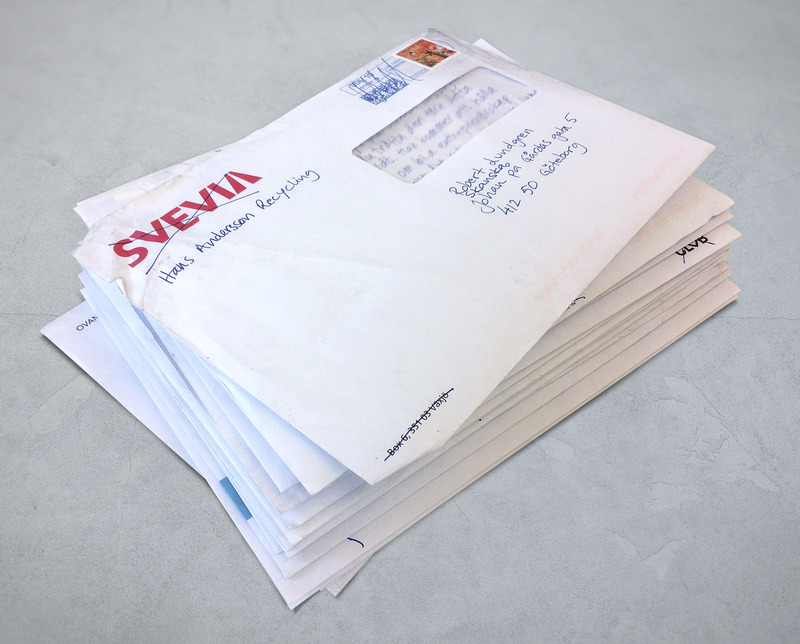 Here we found everything we needed in the form of used envelopes, letter paper, bills and old school stencils. Then we hand-wrote each invitation on second-hand paper, placed it in an old used envelope and taped it shut. By the end, we had a whole stack of exclusive VIP invitations that showcased the very best side of Hans Andersson - as the serious recycling company it is. Hans Andersson Recycling, one of Sweden’s biggest recycling companies, once again had the great honour of keeping the island clean and beautiful for the Match Cup Sweden sailing competition in Marstrand. On the island of Koön, visitors were also greeted with an unusual installation that communicated Hans Andersson Recycling’s business concept from a sailing and competition perspective. Before we even had the banner up to explain the message, people had begun spreading our idea on Facebook and Instagram. 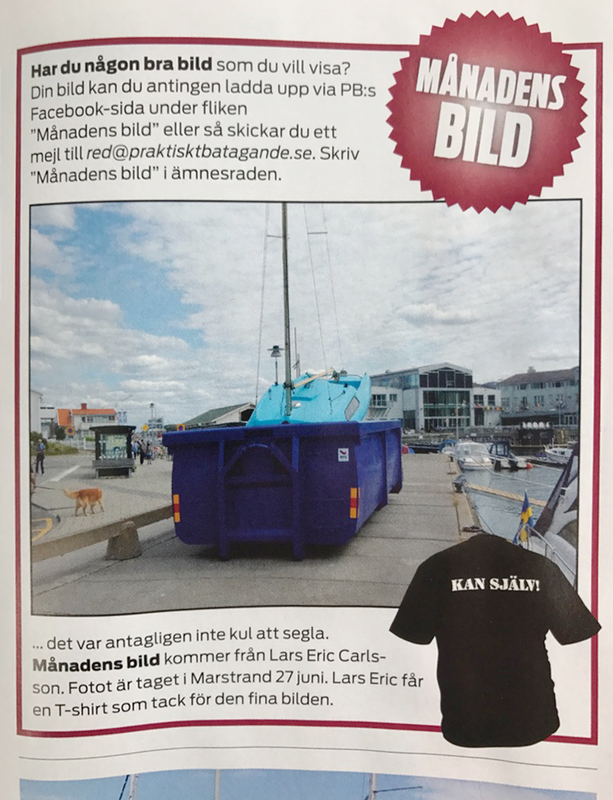 In one of Sweden’s biggest boating magazines, “Praktiskt båtägande”, Hans Andersson’s container installation made its Image of the Month.